With 2 spectacular flying trapeze shows for your entertainment this year, you wont be able to take your eyes off our talented flyers from Fly Factory in Melbourne, as they perform a flying soiree of tricks and tunes. Fly Factory is a circus school based in Melbourne Blackburn, specialising in flying trapeze training and classes as well as aerials and tumbling. Fly Factory’s youth Performance Troupe consists on a junior and senior troupe. 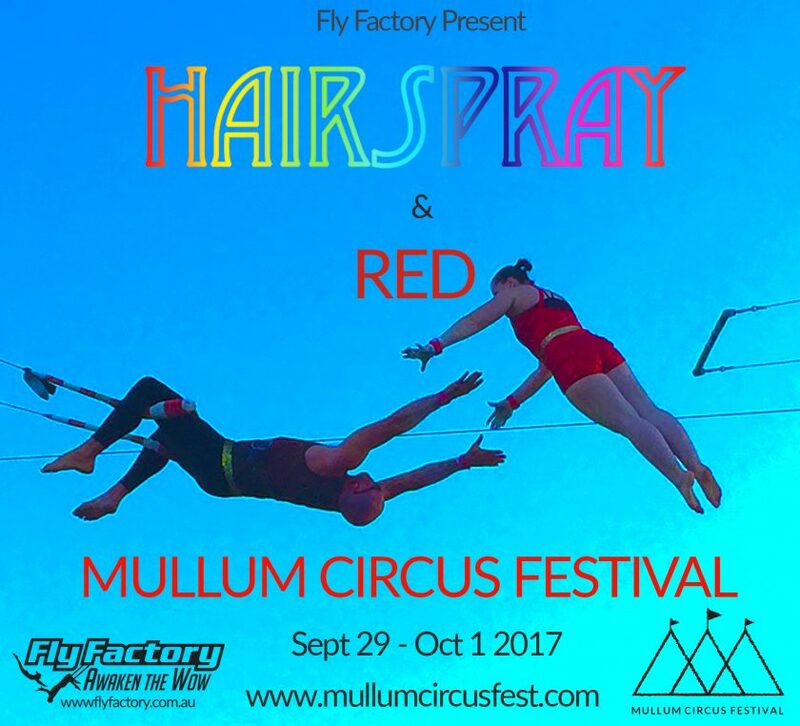 This year our Senior Troupe are very excited to have the opportunity to perform at the 2017 Mullum Circus Festival!